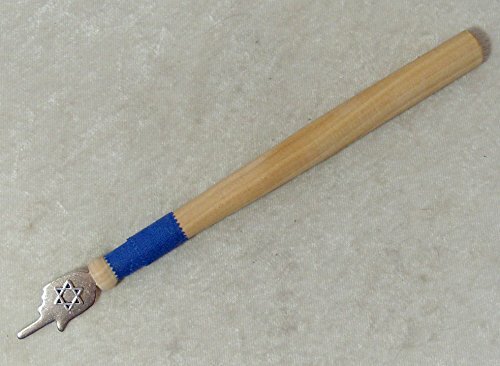 This yad or Torah Pointer is made from a miniature wood baseball bat. Total length, including the hand is 8 inches. It is 1/2 inches wide at its thickest point. It comes complete with sports wrap. This would be a great gift for a Bar Mitzvah who is into sports! If you have any questions about this product by Desert Kippot and Judaica, contact us by completing and submitting the form below. If you are looking for a specif part number, please include it with your message.